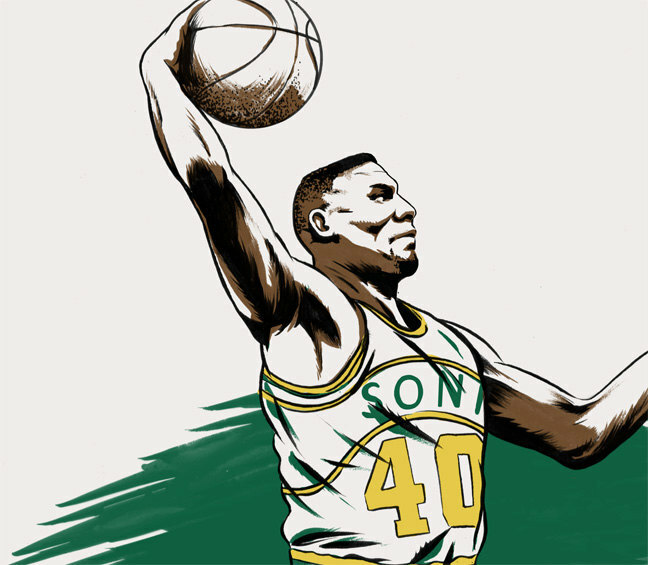 Shawn Kemp is one of the best power forwards in NBA history, and that’s not really even up for debate. Kemp did most of his damage as a member of the now-defunct Seattle SuperSonics during the Goerge Karl – Gary Payton – Detlef Schrempf era of Seattle hoops. Kemp earned six All-Star appearances during his 14-year NBA career to go along with three All-NBA 2nd team honors. Beyond your typical NBA accolades, though, Kemp was best known for his amazing in-game dunks and in-your-face celebrations after said dunks. Picking your favorite Shawn Kemp poster wasn’t easy because he had memorable dunks over all the biggest NBA stars throughout the 1990’s. Kemp posterized everyone. 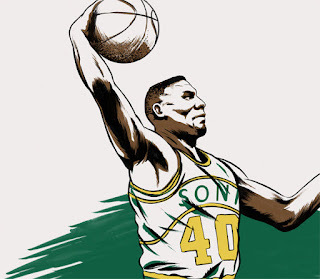 If you missed the Shawn Kemp days, or just want to remind yourself of the terror he caused on the basketball court, the NBA released a video in honor of Kemp’s birthday breaking down the top-50 dunks of his career. Within the first 20 seconds, Kemp makes a fantastic poster out of Dikembe Mutombo that would have easily been the best dunk of most NBA players’ careers. Kemp’s dunk over Mutombo didn’t even land in the NBA’s top-50! Whoever edits NBA footage had to place it in the ‘honorable mentions’ section. That should tell you everything you need to know about the frequency Kemp was dunking on people those days. The entire video is worth your time if you’ve got 11 minutes to kill. If not, we’ll give you number one because it featured a post-dunk celebration so disrespectful that it would’ve broken the internet had it took place in 2017. Poor Alton Lister.